Yesterday we made granola which is really fast to do and isn’t nearly as sweet as what one gets in the grocery store. Mix all together and put in dehydrator until done – usually 2 days in mine. This is very basic and I often put up to 3 cups of seeds and nuts without changing the rest of the recipe. (instead of just two) Adding a bit more or less of the oats, seeds, or nuts or adding other items just adds variety to your breakfasts. If adding dried fruit, add it after you take it from the dehydrator. 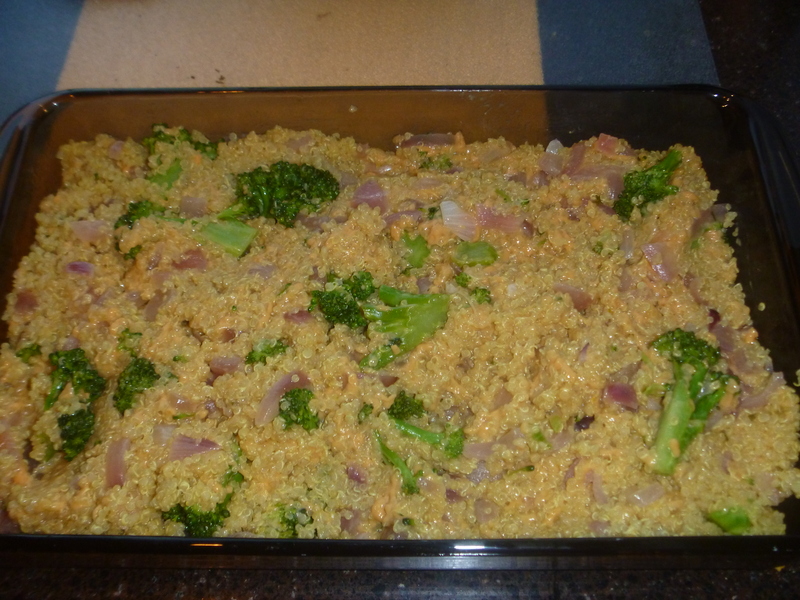 Mix quinoa, broccoli, and cheese together and place in casserole dish. Pour cheese over top and bake 400 about 30 minutes. This recipe was adopted from Vegkitchen When served for company, we don’t have leftovers for the next day. This makes 9-10 cups of thick soup and stays hot awhile. broccoli – approx. 8 cups I peel and save chopped stems in the freezer from when we have steamed broccoli. Place onion, seasonings, and about 5 cups of water in large kettle Simmer til broccoli stems are tender. 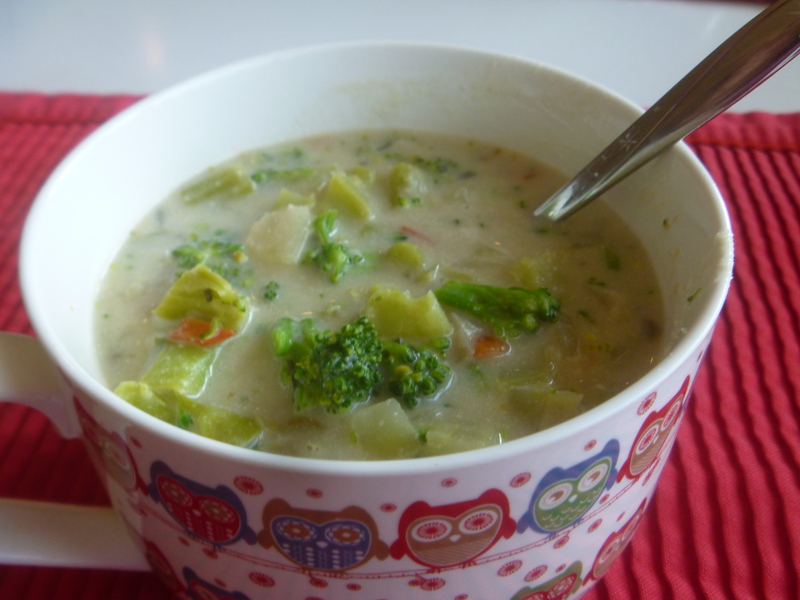 Sometimes I will blend this and Then add the broccoli crowns – about 3 cups and red pepper. Simmer about 5 minutes. If you are freezing it, this is where I freeze and add the rest after thawing. In the blender add 3/4 cup cashews, 1 cup water and 1/3 cup potato starch*. Add to soup, stir and serve. Sometimes we add a spoonful of salsa to the top. *Instead of potato flour, you could use a cup plus of well-cooked rice or a large potato, well cooked. Either will thicken the soup. These recipes are not exact as that’s the way I cook. So if you can fudge one way or the other on them.